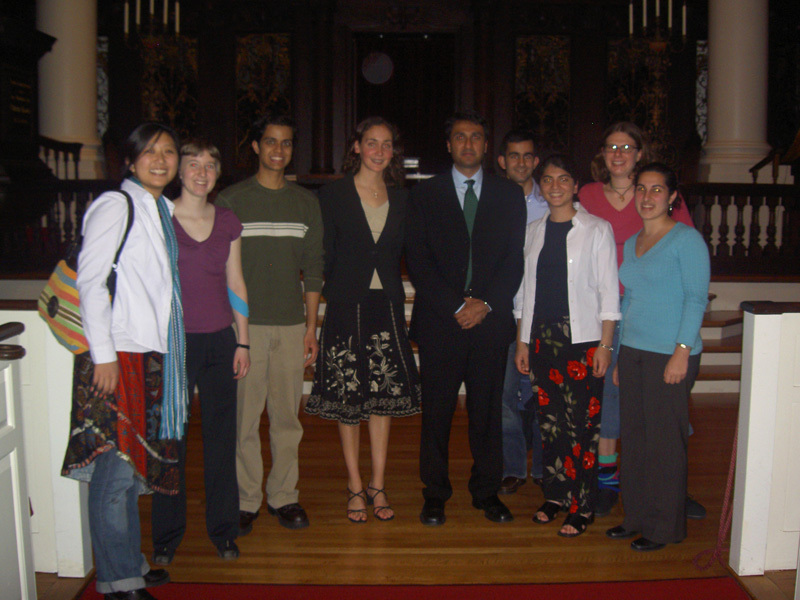 The Harvard College Interfaith Council was founded in 2004 by a group of students interested in expanding awareness across different faiths and fostering mutual support among campus religious organizations in particular. Initially, the Interfaith Council was mainly a discussion group, holding forums on numerous topics of interest to the wider multi-faith community. Topics ranged from theology to politics, film, art, philosophy, and any subject that had the potential for incorporating interfaith dialogue. It was more recently that the Interfaith Council expanded its scope of activities to include campus-wide social activities and public service. The Council acts as an umbrella organization for all religious groups at Harvard, regardless of their participation. In this way, the Council is a resource for all students, rather than exclusively those interested in interfaith. This unofficial status as an “umbrella organization” also has the benefit of drawing groups together, rather than competing with organizations for student participation, even in interfaith events. 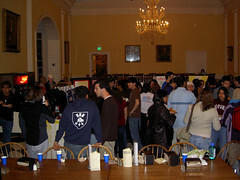 For example, in 1999 the five year old Harvard-Radcliffe Interfaith Forum disbanded due to the number of similar programs offered by other student groups. The Council recognizes that many religious groups on campus have their own interfaith initiatives; its goal is to help further those. 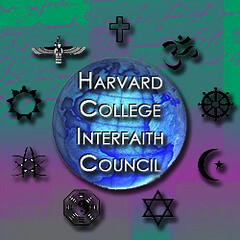 The Interfaith Council seeks to promote greater inter-religious awareness and understanding within the Harvard community. HCIC furthers this goal by providing a forum through which members may focus on similarities and differences among religions. A key component of this work is facilitating interfaith dialogue and interfaith networking for collaborative community service initiatives. The Council utilizes many resources available at Harvard, including – but not limited to – the Harvard Chaplains, the Committee on the Study of Religion, the Center for the Study of World Religions, Harvard Divinity School, and the Pluralism Project. 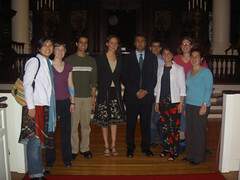 The Harvard College Interfaith Council is composed of an Executive Board, faculty advisers (both formal, such as Professor Diana L. Eck, and informal, for example Reverend Carolyn Dittes, Harvard Presbyterian Chaplain), and the Council proper, which consists of some 800 members. The Council is made up of mostly undergraduates, but also includes alumni, faculty members, and community members. The Executive Board, which holds weekly meetings in Harvard’s Leverett House, comprises nine students from Harvard College. Currently, HCIC does not have a voting process; the current Board chooses new Board members via either application or invitation. Decisions on events, service projects, etc. are made by the Board and then announced to the larger Council, though members are welcome to attend Board meetings. The Council’s main activities and programs are as follows: social events, discussion events, and interfaith community service. Each semester, HCIC hosts several socials; members of the Harvard community, whether religiously affiliated or not, gather together to converse over food and refreshments provided by the Council and – if applicable – co-sponsoring organizations. Along with encouraging informal discussion among students, these socials provide invaluable opportunities for campus religious organizations to introduce themselves and their programs to the student body and the larger Harvard community. HCIC formally invites representatives from each organization to socials and encourages them to think about the possibility of co-hosting events with other organizations. Socials are thus central to creating and maintaining relationships among different religious groups, and consolidate HCIC’s role as an umbrella organization for these groups. Co-sponsors have included the Harvard Islamic Society, Harvard Hillel, Harvard Dharma, the Catholic Student Association, and the Harvard-Radcliffe Christian Fellowship. The Harvard College Interfaith Council understands the significance and importance of formal discussion of interfaith issues, especially in the internationally recognized environment of Harvard University. Discussions are generally forum-style; HCIC invites prominent professors or lecturers from the University to moderate the forums, which involve students from different faith backgrounds. The topics of discussion range from social and political issues to moral and ethical reasoning, literature, history, and science. HCIC considers these events to be vital for the establishment of interfaith dialogue on campus, not merely a supplement to it. 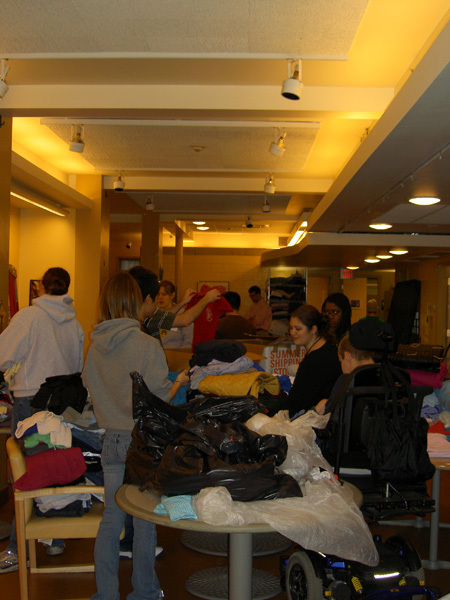 It is the belief of the Harvard College Interfaith Council that interfaith community service is a concrete and enjoyable way to bridge gaps between different religions. Many different religions proclaim that service to others is one of the noblest human acts. By combining and uniting for the common purpose of serving and helping others, adherents of separate religions may find that they have more in common than they had previously thought. HCIC designs service events with this goal in mind. 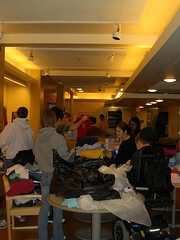 Most events take place in Cambridge or the greater Boston area; an example of a service project is the preparation of a local homeless shelter for the winter season.